It took me a while to get into this book as I'm not usually a fan of fictional diaries. If I hadn't enjoyed Narinder Dhami's Bindi Babes series, I probably wouldn't have even picked this book up, but I'm actually really glad I did. Once I got into the story, it had the same fun mysteries, witty characters, realistic friendships and heartwarming family moments that I love those books for. I have nothing but praise for the storyline with Milly's (view spoiler)[mum's illness (hide spoiler)] and how that was dealt with. I feel like it could have been made into this huge reveal with loads of overdone foreshadowing, but instead it was talked about in a really mature and normal way - exactly the way I would expect real people to talk about it, which was so awesome to see. 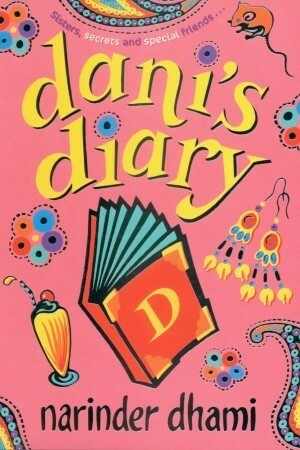 Though I admit I couldn't get on with the diary format in the beginning, overall I do think Dhami did a better job of it than most other books I've read - there was some direct speech but it was hardly ever huge blocks of dialogue or long conversations - stuff that I find it hard to believe anyone could remember that perfectly. It did also add insight into what the main character (and her gran in the sections from her diary) was thinking, in the way I think a normal girl would comment on what she was writing about. On the whole, I ended up liking a lot of things in this book, and I don't have any major complaints. Can't wait to read more of Narinder Dhami's books! I remember reading this book when I was in Form One and loving it!